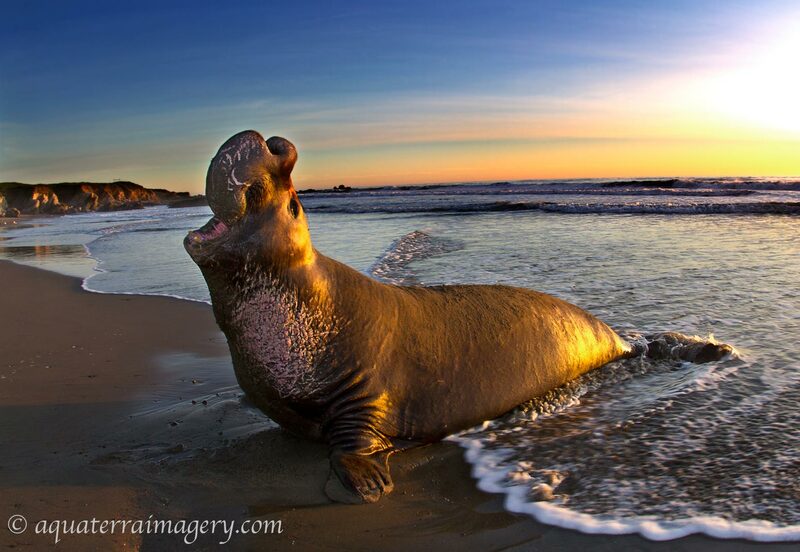 Elephpant Seal - Mirounga angustirostris This northern elephant seal is getting ready to say goodbye to the central coast of California in San Simeon. He has been here prehaps for three months and has not eaten since his arrival. The year ended early in 2011 due to the good weather, and most of the females have left and the babies have been weined. The suset was balmy and the ocean flat. This male was relaxing and warn out over the course of the mating season.